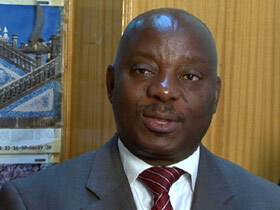 FRED DE SAM LAZARO, correspondent: In a region that’s seen civil wars and bloodshed, Ghana has enjoyed years of peace. DE SAM LAZARO: In its packed churches there’s a palpable sense of optimism about Ghana’s future. REV. FRED DEEGBE: I wish I could say we’ve reached the Promised Land. We are quite close to it, we believe. DE SAM LAZARO: The first building block to Ghana’s relative prosperity has been a free press. Radio announcer: This is your show, the unique breakfast drive…. 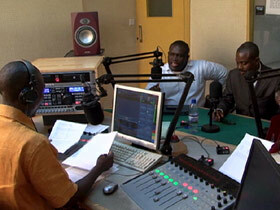 DE SAM LAZARO: Almost everyone listens to the radio in Ghana and lively political give and take is a breakfast staple. Tempers flared close to boiling point at times in the studios but only until the show was over. All was quickly forgiven. In a continent where long-running dictatorships are the norm, Ghana has enjoyed two decades of thriving democracy. Two incumbent leaders have lost in general elections. In 2008, the margin was less than one percent. Yet on both cases the sitting president stepped aside, and power was transferred peacefully. PROFESSOR EMMANUEL GYIMAH-BOADI (Executive Director, Ghana Center for Democratic Development): This is the first time we’ve had both economic growth and political stability and freedom. DE SAM LAZARO: Ghana was the first African colony to gain independence back in 1957, from Britain. It had its share of autocrats and military coups until the early 90s, when long ruling military strongman Jerry Rawlins stepped aside and allowed democratic elections. Ghana has seen steady economic growth ever since. It exports gold, diamonds and cocoa beans, and now new wealth awaits. DEEGBE: Instead of having oil be a source of prosperity and progress for this nation we just allow a few people, very corrupt people, to amass this wealth and flaunt it to all of us, and we want to work towards this not being the story of Ghana. PATRICK AWUAH: Ghana has been very fortunate to have oil after democracy and not before. Because that democracy is going to influence how Ghana manages its oil wealth. DE SAM LAZARO: Patrick Awuah is one of a growing number of overseas Ghanaians who’ve returned. He went to college in the US, then worked at Microsoft. He started a university called Ashesi or “beginning.” Ghana’s fledgling democracy needs ethical leaders he says. AWUAH: We’ve borrowed the model of the liberal arts and sciences as the way to do that, that teaches broad perspectives, a deep ethos, a deep concern for ethics and a specialization. NAA AYELEYSA QUAYNOR-METTLE (Business Major, Ashesi University): You are training ethical leaders, entrepreneurs who are going to take over in terms of the integrity, in terms of sharing the national cake or the national pie among everybody so that the majority of the Ghanaian nationals are not eating the drops or the crumbs from the table, but then they are sharing equally. DE SAM LAZARO: For now, Ghanaians are hardly sharing equally. There’s still deep poverty in rural areas, where the majority of Ghana’s 22 million people live. Development experts say the best way to attack poverty is to create jobs and improve the rural economy. A number of efforts have begun to do this. For example, shea nuts are a major export. They’re processed in Europe and America into shea butter, used in skin creams or as a food additive. Now several small processing enterprises have been set up in Ghana, supported by private aid groups as well as the US government. Some are mechanized but hundreds of women are employed in traditional processing, kneading a dough that comes from boiling and crushing the nuts to release the prized shea butter. RITA DAMPSON (Small Business Owner): When you pick the nuts and sell, that is just the end of it, but when you process it into butter, the profit you can get to support your children by paying their school fees. DE SAM LAZARO: So there is more profit than if you process the nuts? DE SAM LAZARO: There’s a long way to go. Ninety-five percent of Ghana’s shea nuts are still exported raw, and processing is even more difficult with what is still Ghana’s chief export: cocoa beans. Very little chocolate is made anywhere in Africa because of a lack of refrigeration or milk. So the emphasis here instead is on getting a better price. Kojo Aduhene Tano and his neighbors belong to Kuapa Kokoo, Ghana’s largest cooperative. It was set up 20 years ago with the help of British aid group called Twin Trading. Its buyers have pledged to pay higher fair-trade prices. The coop even owns part of a fair trade chocolate line called Divine, sold mostly in Europe and online in the US. 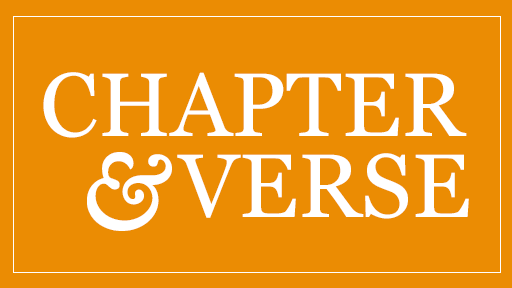 Nationwide, the coop has 64,000 members, and its profits have paid for community wells, credit unions, and schools. It’s hardly made anyone rich. 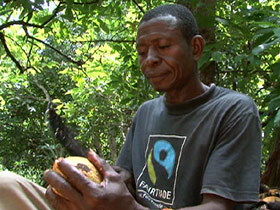 Fair trade does not have a fair share of the chocolate market. Kuapa accounts for just five percent of cocoa growers in Ghana. KOJO ADUHENE TANO: We need more money from you. DE SAM LAZARO: People in rich countries need to buy more fair trade chocolate, he says, even as I discover that he got his first taste of it very recently. (speaking to Tano): How old were you when you first tasted chocolate? TANO: I was 48 years. DE SAM LAZARO: You were 48 years old? Life is still tough, but Kojo Tano is much more optimistic about the future. He only went through eighth grade, but his six children are being educated. The two oldest are away in college. TANO: When I grow old they will look after me. QUAYNOR-METTLE: This is the best times to be a young person in Ghana. DE SAM LAZARO: That optimism is echoed in the capital, especially among young people. QUAYNOR-METTLE: There’s the oil find, Vodafon has just come to settle, there’s KPMG, there’s Price-Waterhouse, there are all the giant multinational companies coming in. The opportunities are just overflowing. DE SAM LAZARO: Whether it’s in big oil or tiny shea nuts, Ghana’s challenge will be to make the benefits flow more equitably, also to keep its commitment to democracy and freedom of information. Religious leaders in this largely Christian country will have a key role in all of this. DEEGBE: With the advent of oil, there is a civil society oil and gas platform who are watching, who are keeping vigil over everything. There’s even a faith-based organization, coalition between the Christian Council of Ghana and the Ghana Pentecostal Council. Between those two you have a majority of Ghanaians, and we are extending that a third level to add a coalition that involves the Muslims, and what we want to do is to monitor what comes in. DE SAM LAZARO: For now, oil revenues are being meticulously reported. How they should be monitored and spent is an on going debate that will escalate as elections approach in 2012. For Religion & Ethics NewsWeekly, this is Fred de Sam Lazaro in Accra, Ghana.